January 10th is “Houseplant Appreciation Day”. In honor of this little-known holiday, we wanted to take a closer look at the top ten houseplants that have the ability to naturally improve the air quality in your home. All of these indoor houseplants were analyzed by NASA in 1989. They found that each had a unique way to naturally cleanse the air of toxins that have a negative effect to your health. To read the full report from NASA, please visit this link. In case you didn’t want to read through NASA’s paper, we’ve summarized the top ten houseplants that act as natural air purifiers. If you don’t have an air purifier in your home, or just want to take extra precautions, we would recommend adding a few of these houseplants to the most important areas of your home. It’s a great first step to improving the air quality inside your home. Often referred to as a Peace Lily, this beautiful evergreen plant is widely regarded to be easy to care for, even for those that don’t have a green thumb. They require very little light or water to remain healthy, which is one of the main reasons why they’re one of the most popular plants to keep in your home. In fact, Spathiphyllum should never be put in direct sun light, as the rays of sun may lead to leaf burn. While they are great to have inside your home, they also work remarkably well as a groundcover around your home, especially in areas where grass is hard to grow because of the shade. 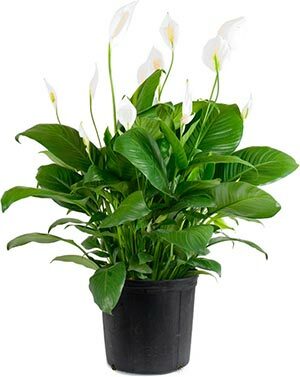 NASA’s analysis of indoor houseplants revealed that the Peace Lily was the most efficient at removing airborne Volatile Organic Compounds, including formaldehyde, trichloroethylene and benzene. Simply put it in a dark corner, give it water once a week and this little plant will help purify the air around that general area. The major downside of Spathiphyllum, however, is that it is mildly toxic to both humans and pets. If you ingest any part of this plant, you may start to feel nauseous, experience difficulty when swallowing, or feel a burning sensation in your mouth or skin. If you start to feel any of these symptoms as a result of ingesting Spathiphyllum then it would be wise to seek medical help immediately. 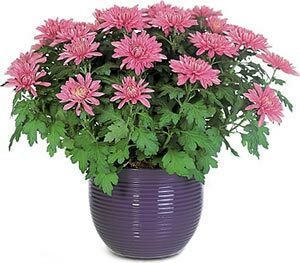 Sometimes called Florist’s daisy or Hardy Garden Mum, this houseplant is another popular perennial plant that people like to have in their home. Unlike the Peace Lily, this houseplant loves direct sunlight and a medium amount of water. With the proper care and right type of soil, the Chrysanthemum morifolium will start to produce lots of beautiful blooms of various colors. These blooms not only help brighten the room, they also help cleanse the air of many chemicals that are common in homes. These include formaldehyde, xylene, ammonia, benzene, toluene, and trichloroethylene. Words of caution on this houseplant. While they are beautiful to have around, they are also poisonous to animals. If your dog or cat has ingested any part of this plant, they will likely experience diarrhea, dermatitis, vomiting and a lack of coordination. If your pet has consumed this plant, please call your veterinarian as soon as possible. 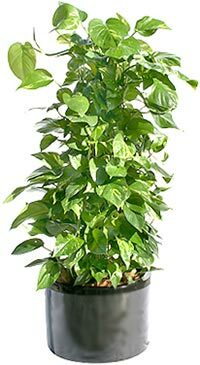 Often called Devil’s Ivy or Golden Pothos, this popular houseplant is native to the Soloman Islands, but is can be found growing all over the world. With evergreen vines and small green heart-shaped leaves marbled with yellowish-white hues, this houseplant is commonly sold in decorative hanging baskets. It is best to keep Epipremnum aureum near a window, without direct sunlight shining down on it. The soil should be peaty with lots of moisture. It’s one of the most popular houseplants not only because it looks good in your home, but also because it’s extremely easy to care for. The most important benefit of Epipremnum aureum is that it is quite efficient at cleansing the air of pollutants, such as benzene, trichloroethylene, xylene and formaldehyde. However, this is another plant that can be toxic when ingested, especially for your pets. If you think your dog or cat has ingested part of this plant, they will likely experience vomiting, irritation and difficulty swallowing. Seek the advice of your veterinarian if you believe your pet has consumed this plant. Often called Red-Edged Dracaena or Pleomele, Dracaena reflexa is an upright evergreen shrub that produces narrow green, yellow or cream-colored leaves. Once the plant starts to mature, you may notice small white flowers start to bloom, shortly followed by small red-orange berries. This low-maintenance plant is extremely popular in America not just because it looks cool, but also because it takes little work to keep it alive. All you need to do to keep this plant alive, is keep it in an area with indirect sunlight and keep the soil slightly moist. 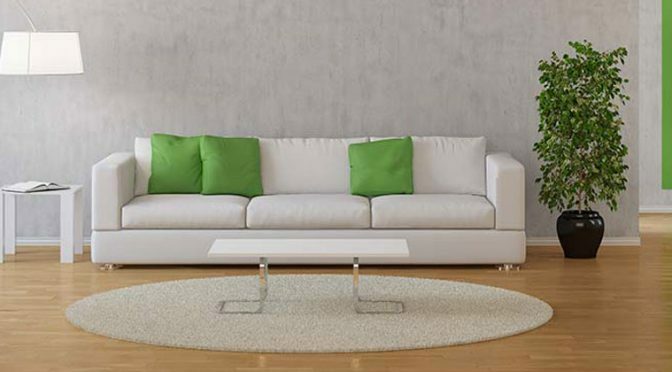 According to the NASA Clean Air Study, Dracaena reflexa is one of the most efficient plants at removing formaldehyde from the air in your home, as well as other VOCs, including benzene, trichloroethylene, and xylene. However, keep your pets away from this plant, as it can be toxic to animals when ingested. Often referred to as Snake Plant or Mother-In-Law’s Tongue, this evergreen perennial plant is another houseplant that is known to improve your indoor air quality. According to NASA, it is one of the best houseplants for absorbing airborne toxins, including formaldehyde, nitrogen oxide, benzene, xylene and trichloroethylene. Even though it is native to Western Africa, Sansevieria trifasciatahas risen in popularity over the last few decades and is now widely grown all over the world. It’s a great plant to have indoors, as it can endure low amounts of light at long durations. However, it prefers to have plenty of bright light. Just make sure you don’t overwater this plant, as it is likely to rot if the soil is too moist for too long. If you have no houseplants around your home, then Sansevieria trifasciata is one of the best for you to start off with. They grow well both inside and out, and they require very little maintenance. Just be careful if you have pets, as this plant may be toxic when it is ingested. Most commonly called the Lady Palm or Broadleaf Lady Palm, Rhapis excelsais another houseplant that would be beneficial to have around your home. 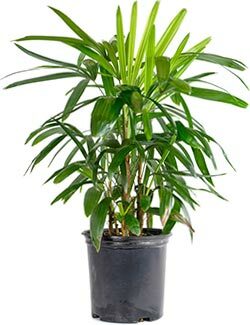 With a maximum height of approximately six feet, Rhapis excelsa is the perfect fan palm to have in a dark corner of your home. They are able to tolerate low-levels of light, high amounts of water and a wide range of temperatures. While this houseplant does prefer to live in moist soil, it does need to have the proper drainage available to avoid root rot. Native to Asia, this evergreen perennial small palm can thrive in both indoor and outdoor environments. The best part, is that the NASA Clean Air Study discovered Rhapis excelsa to be one of the best houseplants at cleansing the air of formaldehyde, ammonia, xylene and toluene. Most commonly called a Flamingo Lily or Laceleaf, Anthurium andraeanum is a beautiful evergreen plant that is most known for its gorgeous flowers. According to the NASA Clean Air Study, the Flamingo Lily was incredibly effective at removing airborne formaldehyde, ammonia, toluene and xylene in your home or office. Unfortunately, Anthurium andraeanum isn’t the easiest plant to grow indoors. It is definitely not for those that don’t have a green thumb. If you decide to grow this houseplant, be sure you give it plenty of indirect light. The blooms love to soak in the rays, and you’ll be rewarded for weeks with their beauty. The hard part about this houseplant, is that it prefers high-humidity environments. If relative humidity falls below 50%, your plant may start to die. Having a humidifier in your home is the easiest way to avoid this. You also want to make sure the soil stays moist at all times. 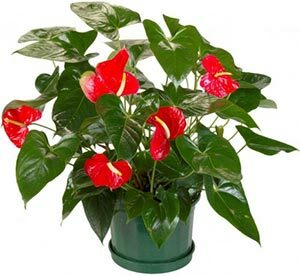 Please note, Anthurium andraeanum is poisonous to both humans and animals. Caution must be taken with small children and pets. If they ingest any part of this plant, they will immediately start to have difficulty swallowing, horseness and blistering in their mouth and throat. If you experience any of these symptoms, please seek medical help immediately. 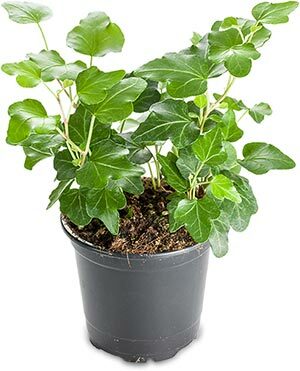 Often called English Ivy or European Ivy, Hedera helix is another popular houseplant that helps filter airborne toxins inside your home. According to NASA’s Clean Air Study, English Ivy is effective at cleansing benzene, formaldehyde, xylene and toluene from the air. Additionally, other studies have indicated that English Ivy also helps reduce mold in your home. This evergreen climbing vine is extremely popular in outdoor landscaping. You may have seen it used as ground-cover in areas where grass doesn’t grow, or perhaps climbing up the side of a wall or tree trunk. Because of its “carefree” nature, it has grown in popularity over the years. However due to it spreading aggressively, horticulturists say you should be hesitant in using it outside and should only keep it as an indoor plant. This prevents it from invading other plants around your home, and has the added benefit of purifying the air in your home. Caring for Hedera helix is relatively easy. Keep it at a constant temperature, give it plenty of direct sunlight and water generously with well-drained soil. If you can do these three things, English Ivy will return the love with cleaner air in your home. Most commonly known as a Barberton Daisy, Gerbera jamesonii is a beautiful flowering plant that is native to Eastern Africa. While it is intended and mainly used for outdoor use, it is becoming more popular to put them in containers for indoor use. This may be a wise decision for your indoor air quality, as NASA’s Clean Air Study found that Gerbera jamesonii is effective at cleansing the air of formaldehyde, benzene and trichloroethylene. Barberton daisy’s prefer full sun, plenty of water and well-drained soil. If you try to use this as an indoor houseplant, make sure you have it in an area that has plenty of natural light. It also thrives in moist soil. Be sure to keep the soil moist as often as possible, without over-watering it. 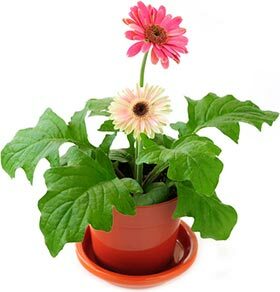 Gerbera jamesonii is able to withstand a wide range of temperatures, so you don’t need to be concerned with keep your home at a specific temp. 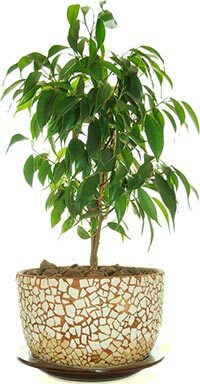 Most commonly known as a Weeping Fig or Ficus tree, Ficus benjamina is popular houseplant that is also very effective at purifying the air in your home. According to NASA’s Clean Air Study, Ficus benjamina was effective at cleansing airborne formaldehyde, xylene and toluene. This low-maintenance, evergreen plant grows well both inside and out. If you use it as a houseplant, place it in an area that has plenty of bright indirect natural light. If you place it directly in the sun, it’s possible that the leaves will burn. Water it frequently, but to avoid root rot allow the soil to dry before adding more water. 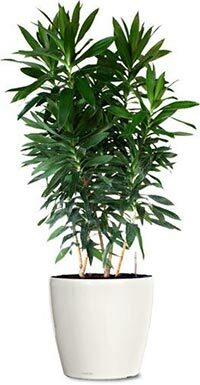 Ficus benjamina grows the best in higher temperatures, much like you would have in your home, as well as relative humidity levels above 50%. Please note: this plant is poisonous to animals. If you have pets, especially dogs and cats, you may want to take extra precautions to make sure they do not ingest any part of this plant. If they do ingest Ficus benjamina, they will likely experience the following symptoms: vomiting, salivation, and oral irritation. Seek help from your veterinarian immediately. Previous PostHow to Make Your Own TerrariumNext PostGrowing flowering plants from seed: Easier than you think!